A flavorful chicken soup is easy to throw together. Few things taste as good as homemade soup and few processes are as soothing as making it from scratch. 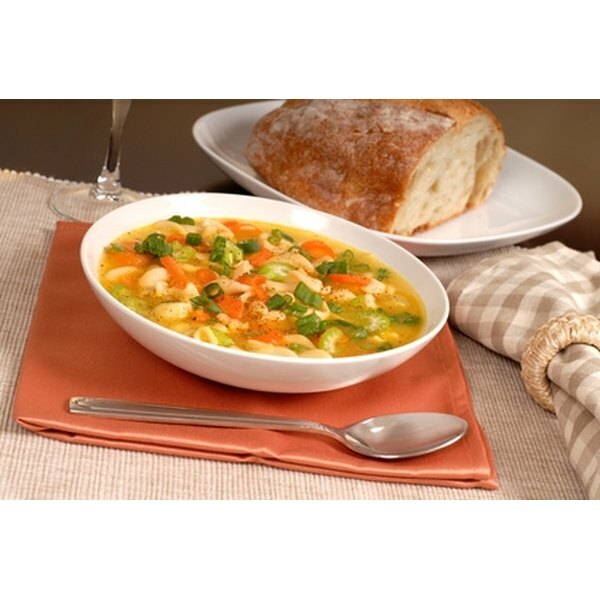 An easy chicken and vegetable soup is versatile and sure to please. Bake the chicken breast in a 375 degree oven until cooked through, approximately 20 minutes. Heat a large pot over a medium flame. Add the olive oil and sautee the onions and celery for approximately four minutes, or until the onion is translucent. Add the chicken broth, white wine and diced tomatoes to the pot. Stir in the bay leaves and dried thyme. Add the diced and chopped vegetables, as well as the frozen corn. When the chicken is cooked, remove from the oven and dice. Add the chicken to the soup. Bring the soup to a boil and then allow to simmer, covered, over a very low heat for one hour, or at least until the potatoes are cooked through. Enjoy delicious, healthy homemade soup. Leftover roast chicken (or turkey) can be substituted for the baked chicken breast in this recipe, which makes the process even quicker and easier. 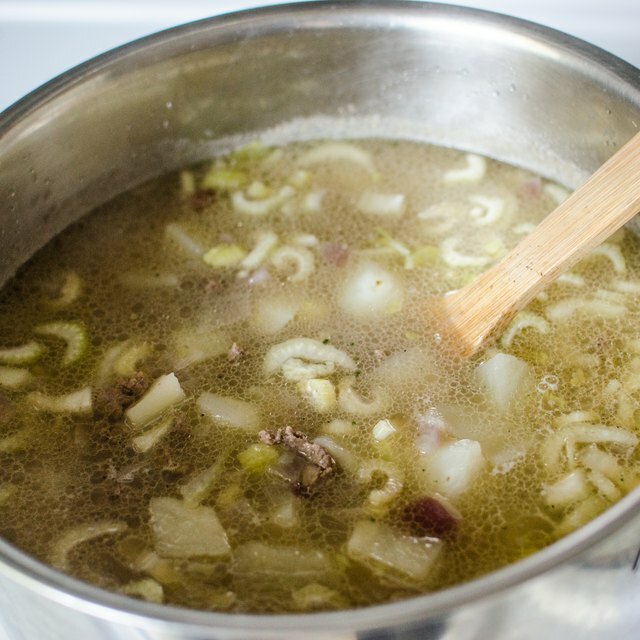 The bay leaves should be removed before eating; this is best accomplished when serving the soup.